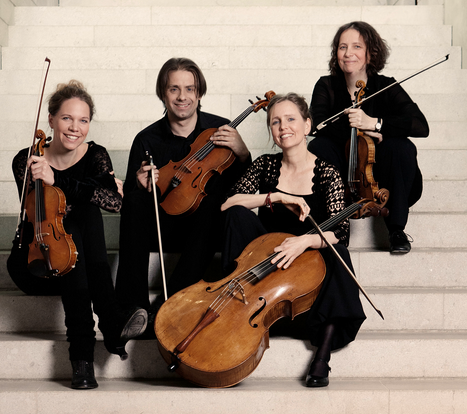 The Salagon Quartet was founded in 2004 by four experienced and dedicated chamber musicians who have performed throughout the world in the most renowned chamber orchestras and ensembles that specialize in the music of the 18th century. Their artistic ideal is based on the transparent, eloquent and colourful manner of playing which has developed through the use of instruments appropriate to the historical period (e.g., with gut strings and the use of bows modelled on originals from the period), and through the careful consideration of historical performance practice over the past few decades. The Salagon Quartet released their first CD with recordings of Joseph Martin Kraus (1756-1792) in 2006. This recording was a result of a cooperation between the label Carus Verlag and the radio Südwestrundfunk Stuttgart. The CD was very well received and acclaimed in press reviews. A second succesful CD, with stringquartets of Joseph Haydn and Franz Schubert was released in 2014 on the label Et'Cetera.